Thank you so much for the wonderful team. Special thanks to Charlene , she is definitely a sweet and friendly girl . Charlene and her team was introduced by my wedding planner. We decided to choose blissmoment as our decorator because we found that blissmoment artwork is simple and nice, something similar on what we want. Along the preparation, I would like to say thank you to Charlene , she is always try her best to reply our queries on time and provide her opinion when we feel lost in terms of the design or colour. As we always worry that what we have chosen may not turn out be nice on actual day , hence we always did last minute changes request to Charlene. But Charlene is a very patient lady and always try her best to solve our problems especially to avoid the unnecessary cost. I am apologies all the last minutes changes request to Charlene. 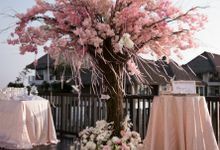 Thank you for always explain and advise us what can make our photo booth and decoration looks better. On actual day , everyone is enjoy the photo booth and the decoration. Even our parents like it too. Appreciate you and your team for great work. Thank you so much. 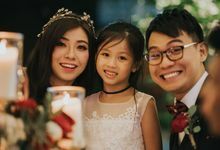 Matt and I had the privilege to engage Charlene from blissmoment for our wedding in KL. We were looking around and researching possible vendors and came across her portfolio. We feel in love with her style and thought it suited our theme and what we were after. From the very beginning itself, Charlene was really easy to deal with. Given that we were not in KL, she would organise the occasional Skype sessions to discuss our desired venue styling. Her responses are always very prompt and we could not be more glad. She was always up for a challenge and even with some hiccups with the venue, she managed to pull that through with a big smile on her face. Dealing with Charlene has made our wedding planning experience a pleasant one. On the day of the of the wedding, it was truly amazing. She managed to bring our ideas to life and it was definitely what we were after. We could not be more grateful for Charlene and her team's work. There are so many things that we love about Charlene and blissmoment. From their designs to their service standards. We are definitely recommending blissmoment to our friends and family. Well, we already have. Thanks so much again. To a wonderful team that the groom and I fully trusted and was amazed by the deliverable - big THANK YOU for such a great work on the night of our wedding! 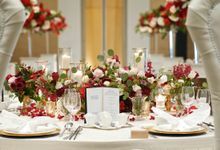 The place was so gorgeous and we were most thrilled with the decoration, table setting and stage setup! My heart skipped a beat when I walked the upper deck of Glasshouse Seputeh after I was done with the make-up. I stood there for a whole 10 mins to absorb all the gorgeous decoration and great work you and your team has put forth! The ping pong lights were so dreamy, fresh flower arrangements were everyone's favourite and most importantly I noticed you remembered the super small remark I gave during one of our Skype sessions - I told you that I didn't like the folding lines on the table cloth and I saw your team steam ironing them on site! That really made me smile! At that moment, I knew your team was reliable and we entrusted our wedding to the correct team. We only met face-to-face on the day itself but you delivered what was shared and delivered it even better than what we expected! Thank you once again darling! 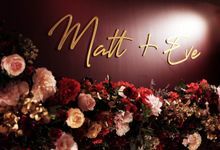 You have been a pleasure to work with and trust me for a recommendation if anyone would need a event stylist - your name will definitely pop up first. Please also send my congratulations to your team on the great work! 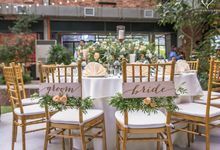 Charlene and the Blissmoment team did an amazing job on our wedding day as our wedding decorator! 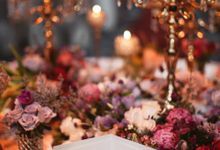 My husband and I wanted a glamorous floral themed garden wedding ceremony and reception but we had no idea where to begin nor a keen eye for wedding decor & detail. 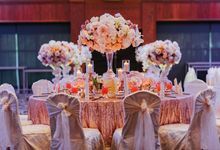 I got in touch with quite a few top wedding decor companies in Malaysia. Charlene's passion for her work, creativity, friendliness and responsiveness to my enquiries made her stand out from the rest. As both my husband and I were based in the US and had different time zone, Charlene worked around our schedule to have Skype meeting with us. We had one preliminary Skype session followed by a second one where I decided to engage her service. Charlene was quick to understand what I wanted so it really saved me a ton of time from going back and forth to explain to her my wedding vision. She came out with a mood board just after 2 Skype meetings and we absolutely adored it! After we made some minor changes and approved the mood board, all we did was just sit back & relax, like literally, until the wedding day. We may have some discussion in between but it was pretty quick and easy. 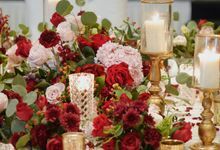 Having been able to just completely outsource wedding décor to a trusted company and not worry about it was so valuable to me especially when I had 1000 other things to plan for my wedding. If, however, you were the type that needed to keep in touch regularly with your decorator, I believe Charlene would be more than happy to do that. 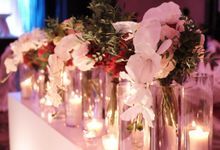 On our wedding day, the ceremony and reception set up was so beautiful and stunning. Our guests were blown away and we received so many compliments. I only wish I had been a guest at my wedding so I could be awed by the awesomeness. 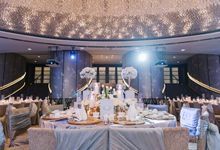 One thing I really loved that day was the ambiance lighting that was installed in our ballroom. I was so glad that Charlene brought up this add-on option to me. 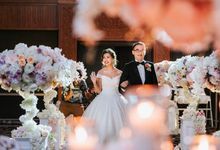 It beautifully illuminated the ballroom and enhanced the overall atmosphere and feel of my wedding venue. Loved it! Thank you Blissmoment for making our wedding incredible! I would highly recommend this company to all the bride-to-be out there! 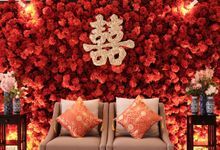 We didn’t like the floral decorations provided by the hotel and opted out of it completely, went on Bridestory to search for suitable vendors. When I chance upon the rustic decorations of a church wedding by Blissmoments, I knew I had to get them for my wedding. 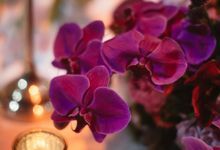 Even though my theme was not rustic, I just felt that Blissmoments team could conceptualised and had huge potential for my “understated glamorous” theme. I got in contact with Charlene and I must say she is full of passion and ideas. As a person who deals with events and marketing campaigns, I have strong opinions and always wanted things to go according to my way. When I spoke to her over WhatsApp messages, we just hit off really well. She could understand the requirements I have. Subsequently, we met her in KL to have a formal discussion and she showed us the mood board. It was amazing! As she displayed a lot of initiative for the whole planning, I could take a step back and it was almost hassle-free. Charlene is someone who can be trusted as she has high expectations of her deliverables! I usually have many things to change and amend at work for different events, but with her, I could take the back seat. She also took the effort to come to Singapore to visit the ballroom with us and liaise with our event manager. 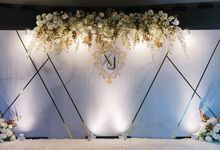 We didn’t even know how the entire ballroom would look like before the big day but my Husband and I looked forward to be surprised by the team. On the big day, we wanted to sneak a peak of the ballroom before the March-in and Charlene was really cute, she stopped us from seeing it cheekily, and said she wanted to surprise us. When we marched in, we were really surprised and stunned by the beautiful decorations that adorned the ballroom. 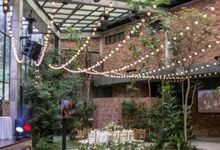 She nailed the definition of understated grandiose and did not turn my venue into a garden, unlike some vendors we enquired in Singapore. It was simply amazing. 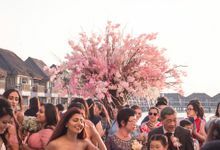 Our guests were full of praises for the decorations! We wish we could behold the entire ballroom for a longer time. Blissmoments is very upfront with you on the Budget and payment and what they can do to set your expectations right. If you would engage them, I recommend you heed their advises, and everything will be well. They show you their strength by action. You will never be disappointed! 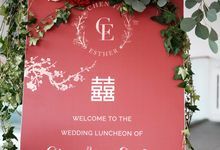 Thank you for designing such a spectacular wedding! 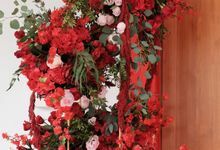 Decorative draping, Event concept & design, Event décor, Event lighting, Floral design, Furniture rental, Other Bridal bouquet, Corsages, Bespoke invitation cards, menu cards design and printing. 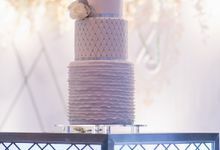 Yes Appointments are adviced to be carried at the ceremony or reception sites right away to ease the discussion and decision making process. Yes Depending on the whole budget of the decorations, we could consider providing destination services. 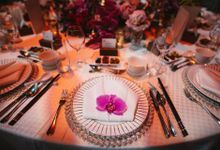 Yes We handle event set up, tear down, while coordinating everything on event styling in between, so you can lay back and enjoy the company. 9 months in advance would be great. 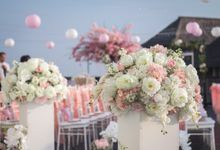 However, the latest you can contact us 1 month before, provided we are available on your big day and the decoration theme is similiar to what we have done before. Initial deposit of RM3,000 or 10% of the package price, whichever is higher upon confirmation. The next installment only starts 6 months prior to event date. 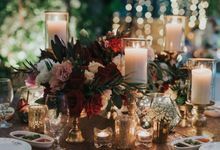 Whether you need help discovering your couple style, infusing your story into your wedding, or would like creative ideas that will give your wedding that WOW-factor. We will take care of every design detail, making sure that every aspect is covered. 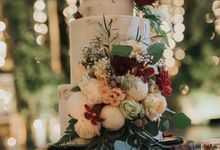 We will help you establish a style and theme, color palette, create inspiration boards that reflect the vision, and present you with a creative presentation of your wedding day. 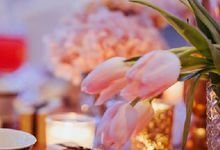 We ensure that you can treat yourself and your guests to something truly “beyond beauty” on one of the most important day in your life! Yes We can offer consultation via scheduled skype / whatsapp call. Yes Upon requisition, we could provide sample arrangements for color combination visual effect with extra charges. 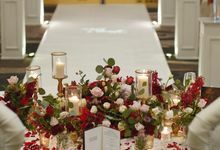 Founded by wedding stylists, designers and florists, which previously worked with a company which styles for numerous 5 star hotels in Kuala Lumpur. What are the three (3) biggest styling tips you can share? 1. Only one or two focal points. 2. Lighting. Use lighting to create atmosphere. 3. Color. Keep in mind how all the decorative elements can come together harmoniously through color. 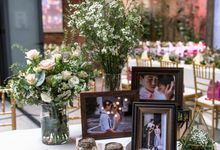 Wedding stylists in a 21st century | Floral event stylists | Inspired by moments of love & happiness Bespoke venue stylists specialising in design and decoration. 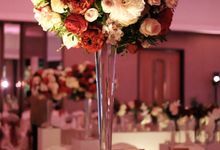 Renowned for stylish design, we offer the ultimate transformation for weddings, corporate events, private parties and much more.